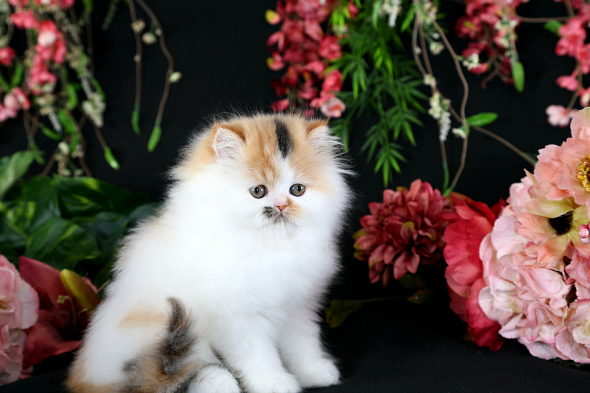 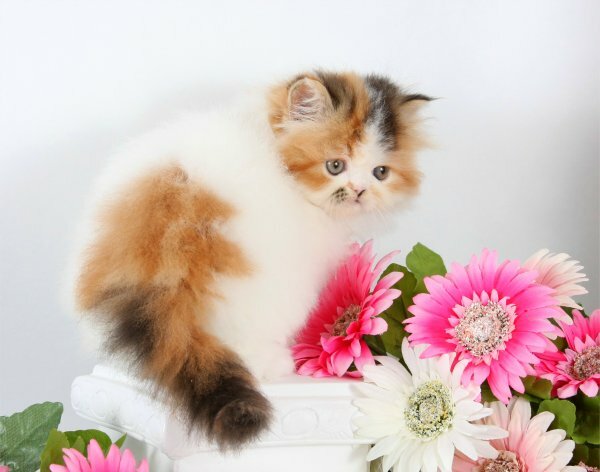 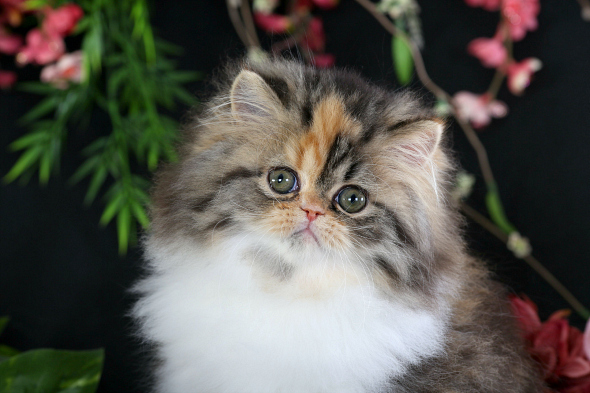 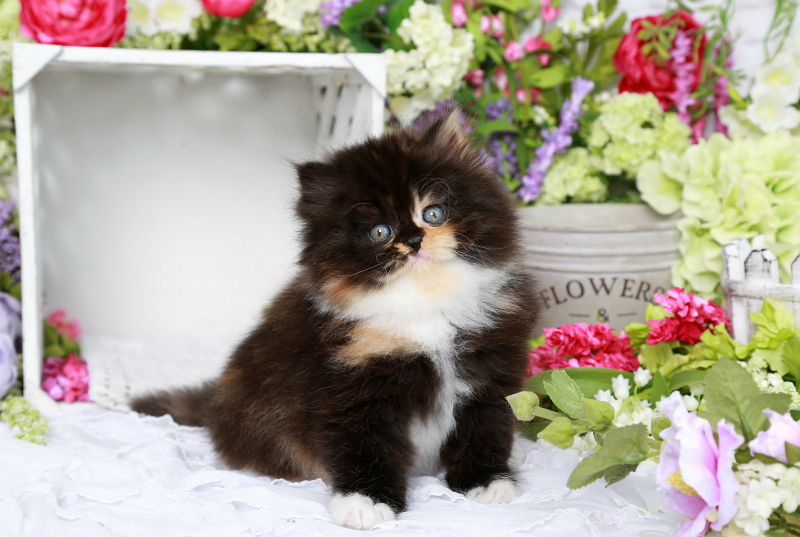 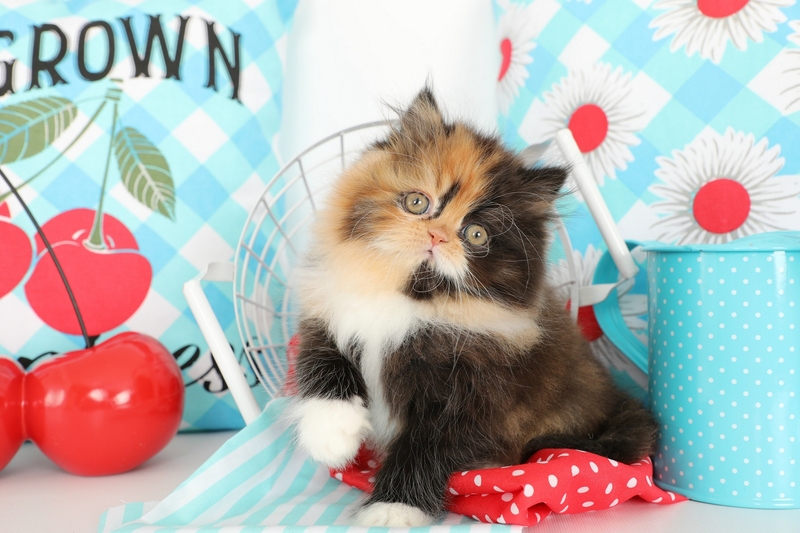 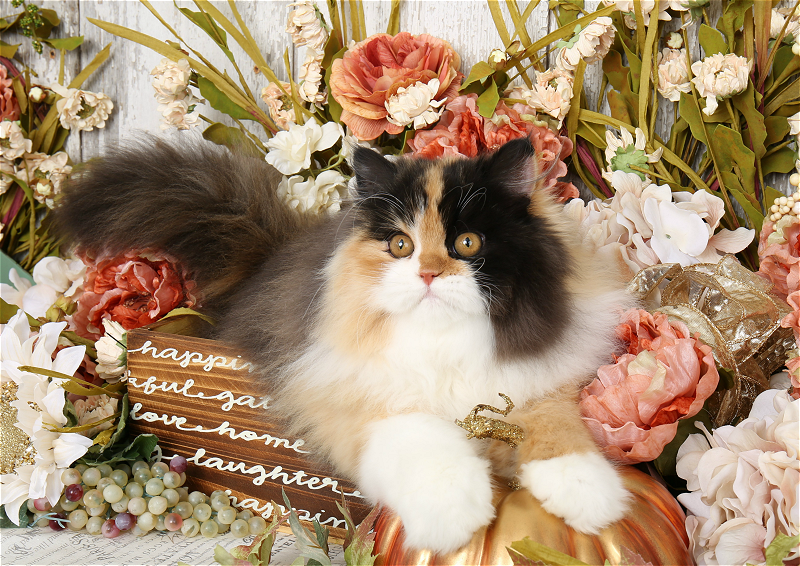 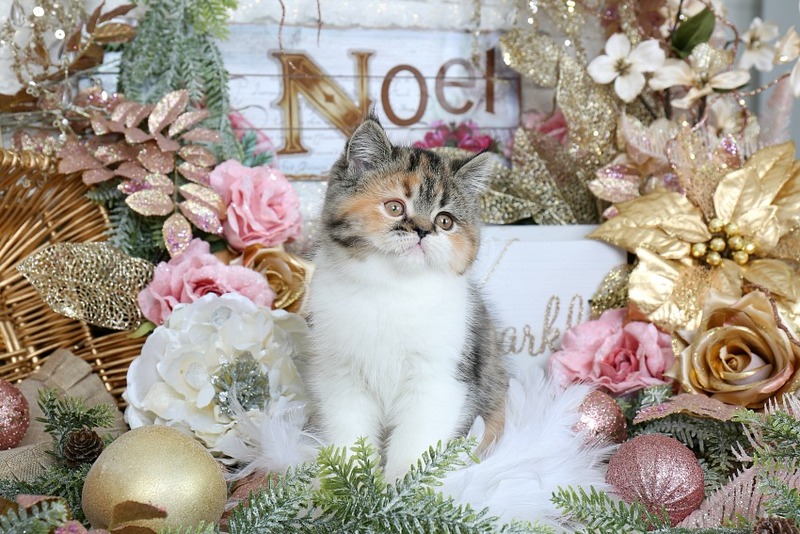 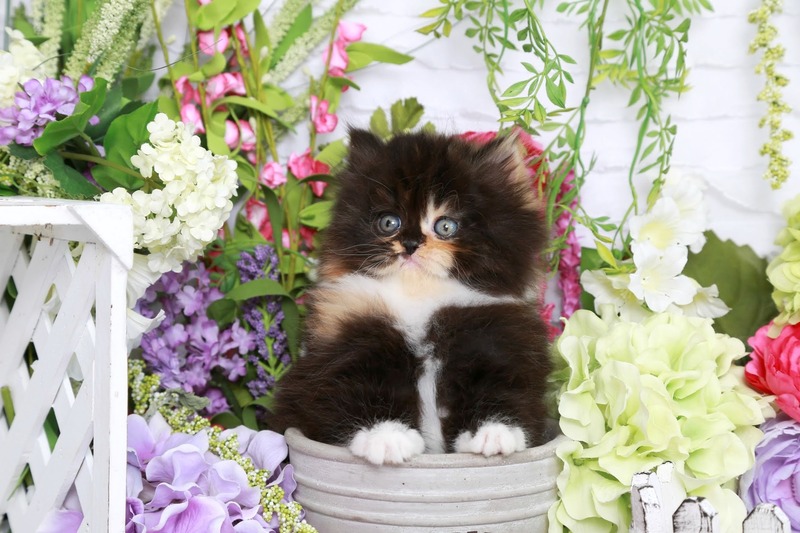 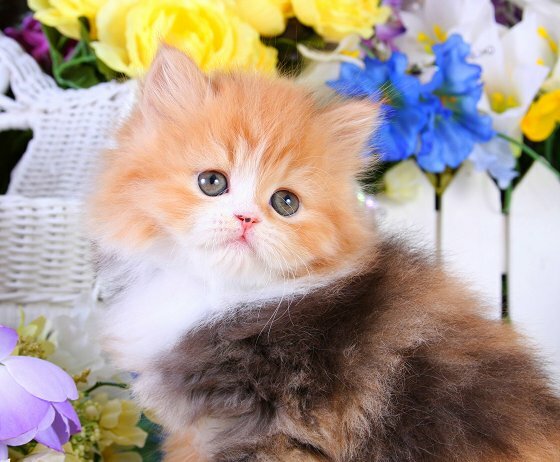 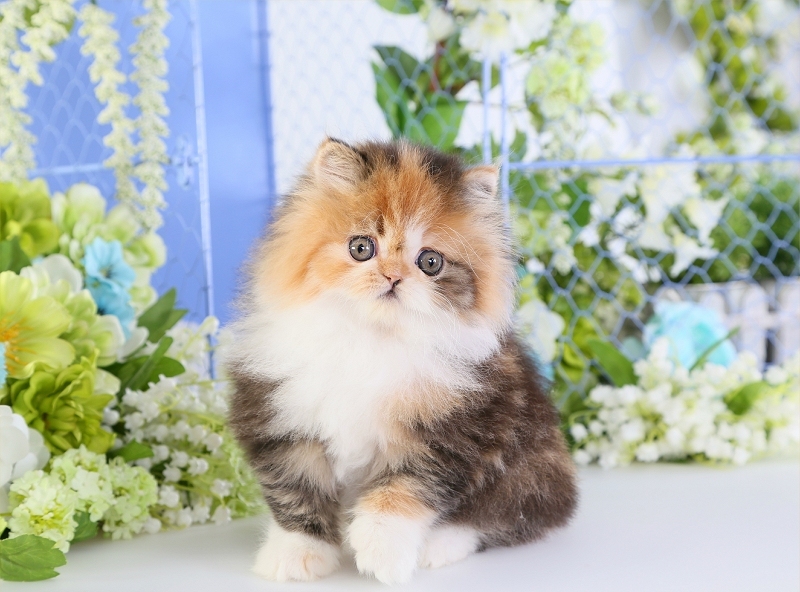 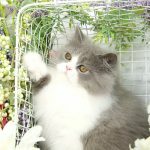 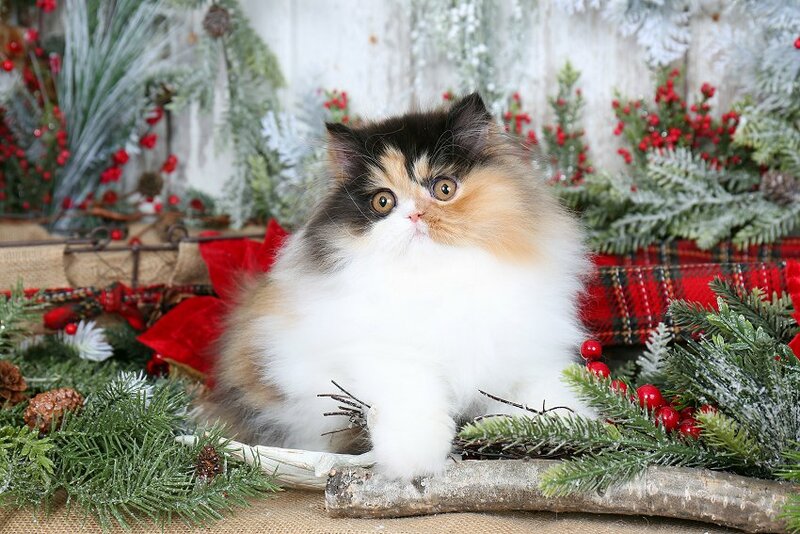 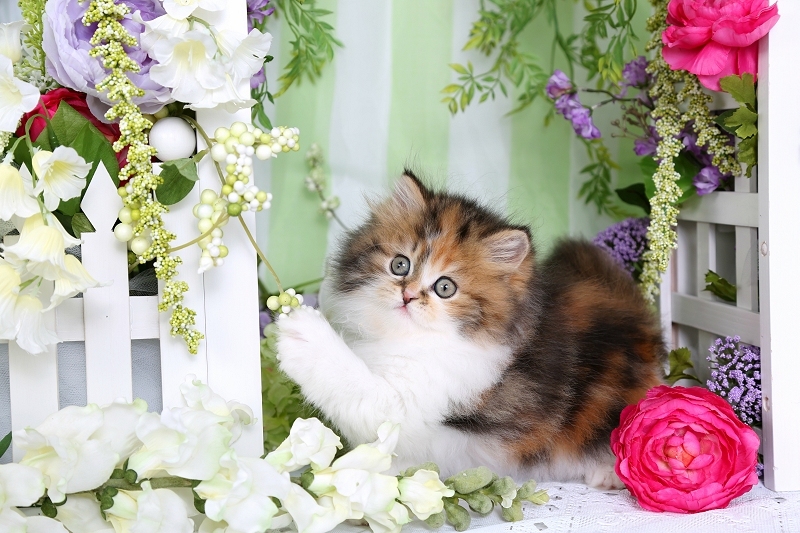 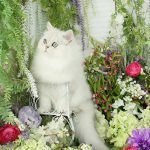 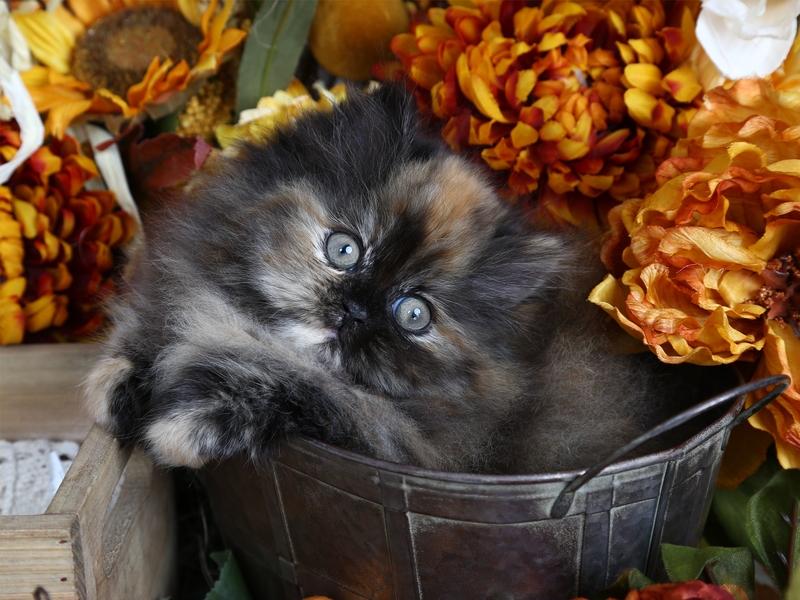 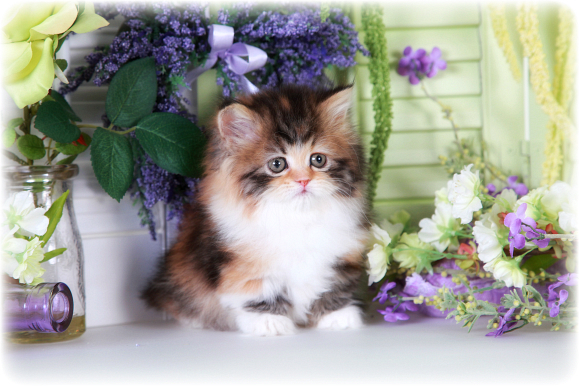 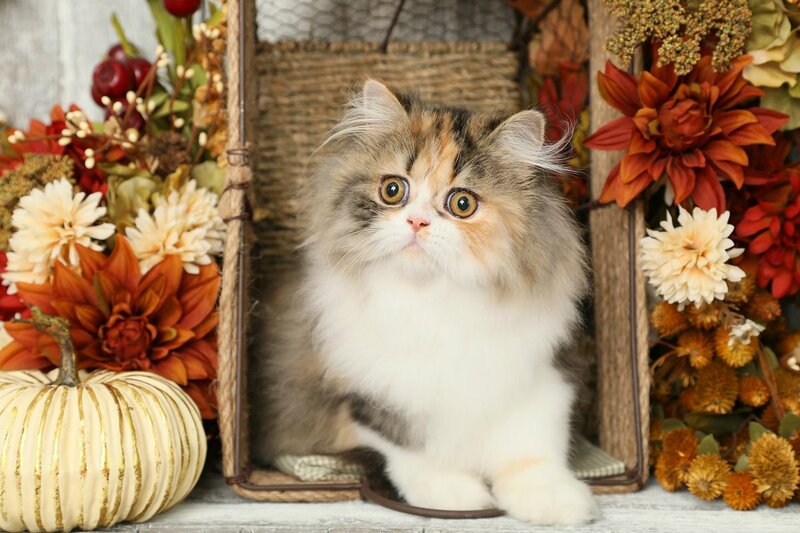 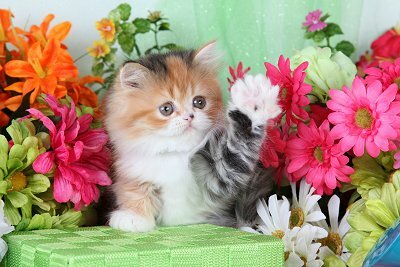 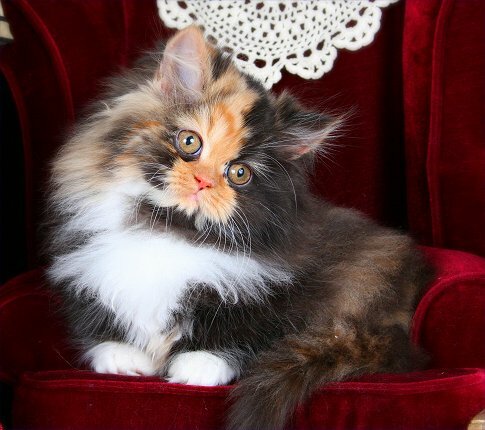 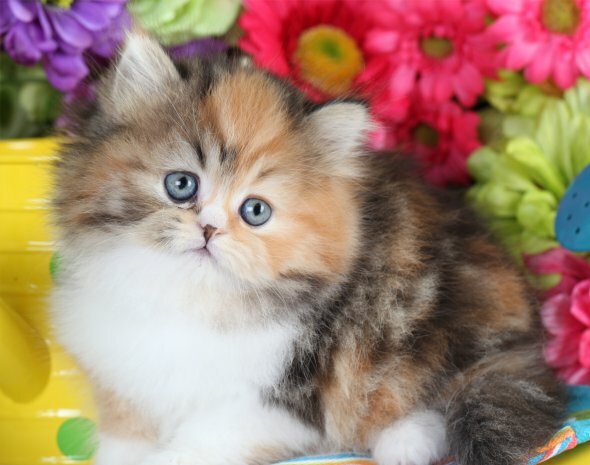 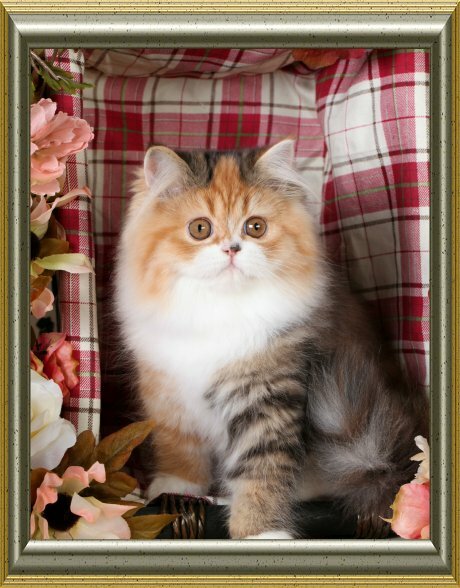 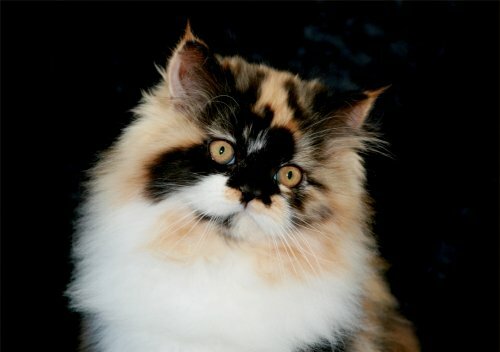 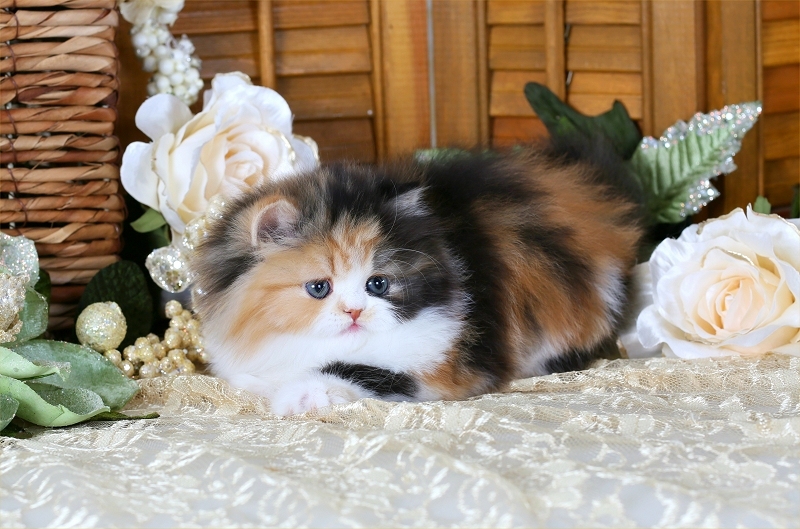 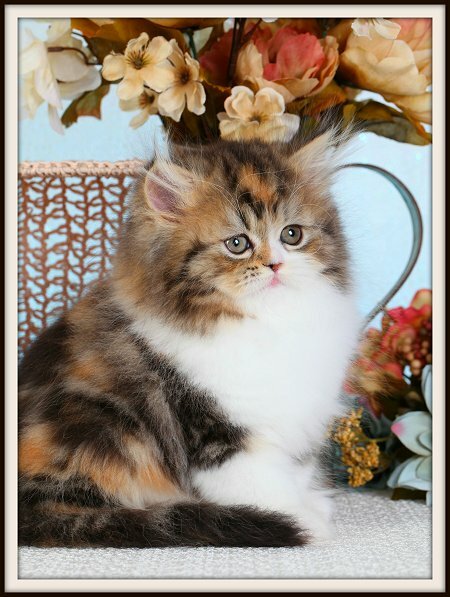 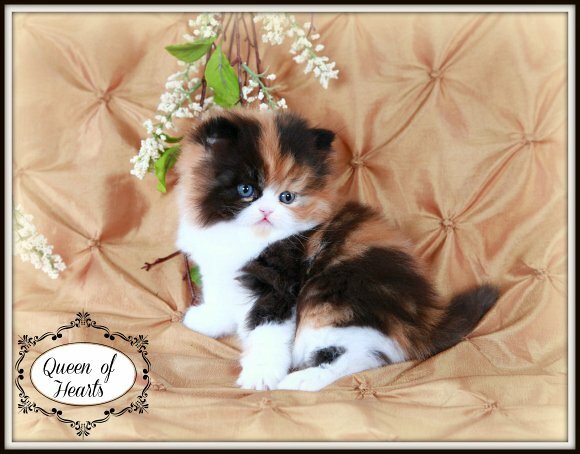 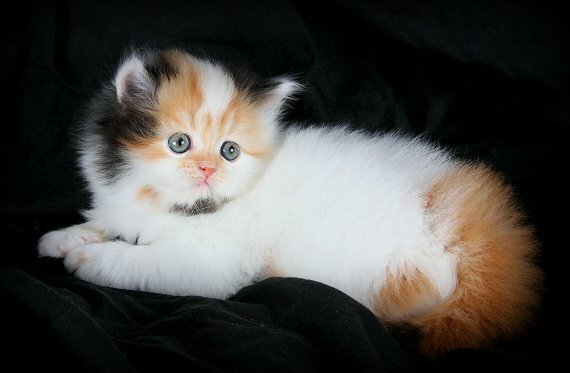 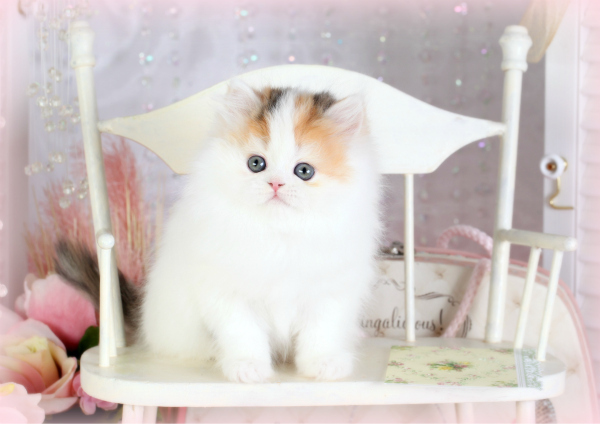 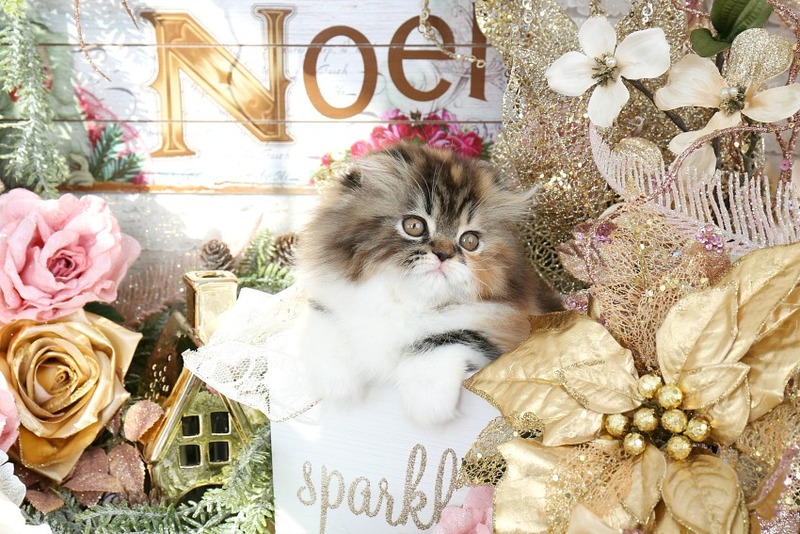 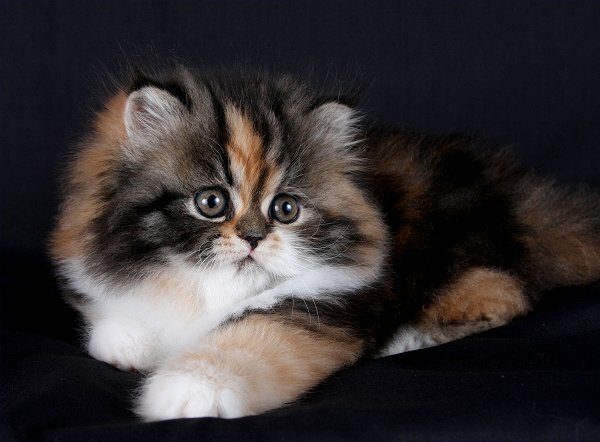 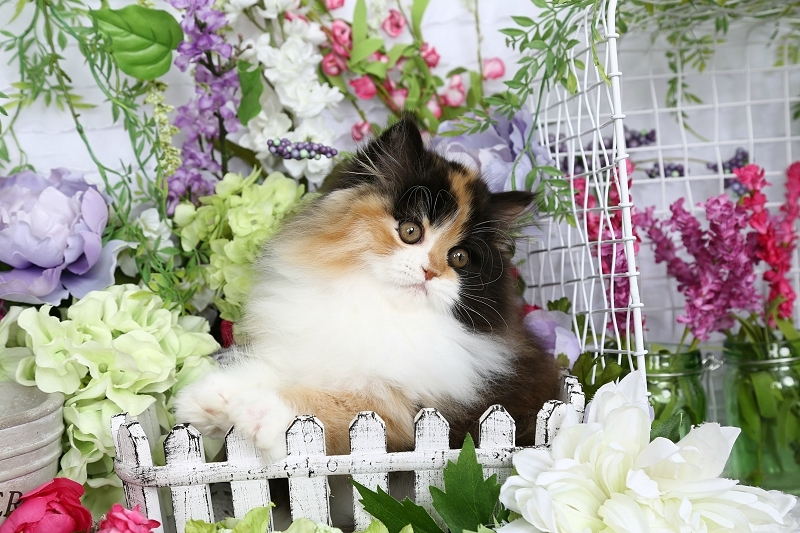 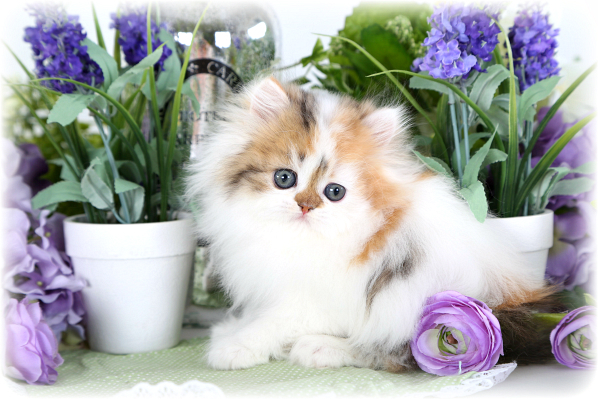 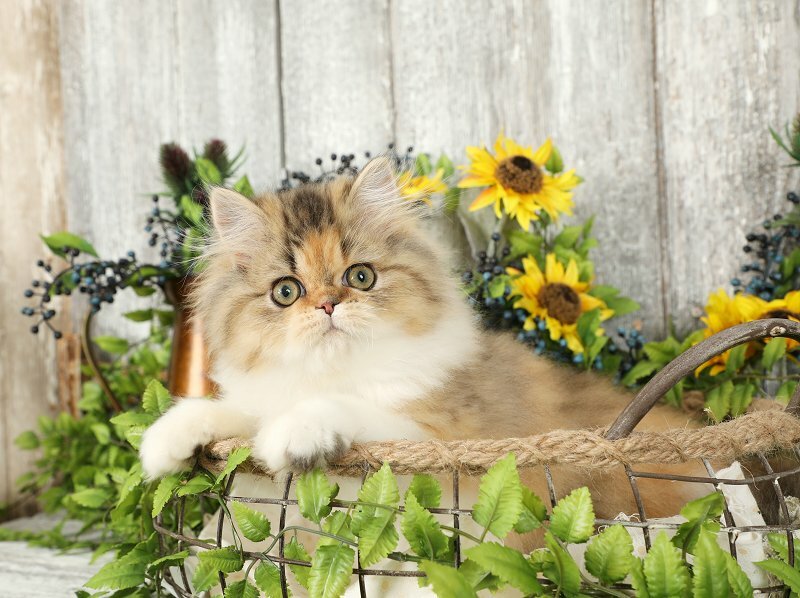 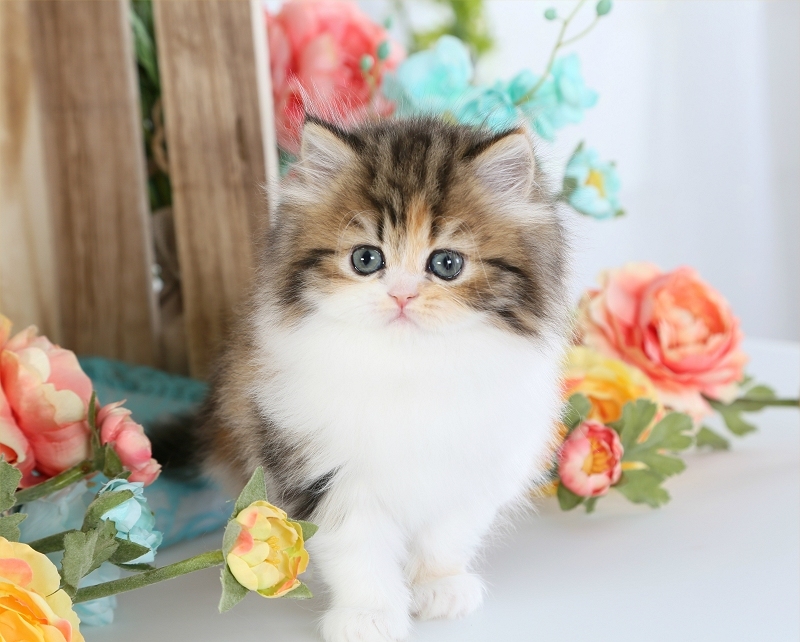 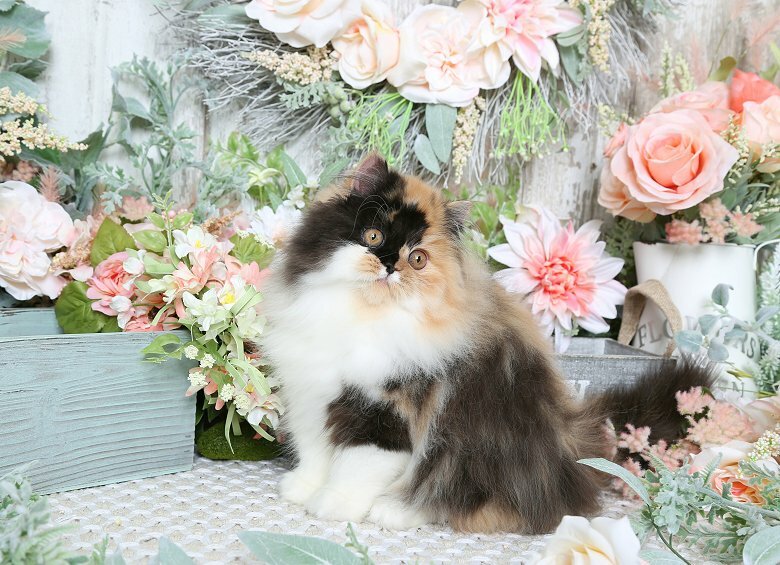 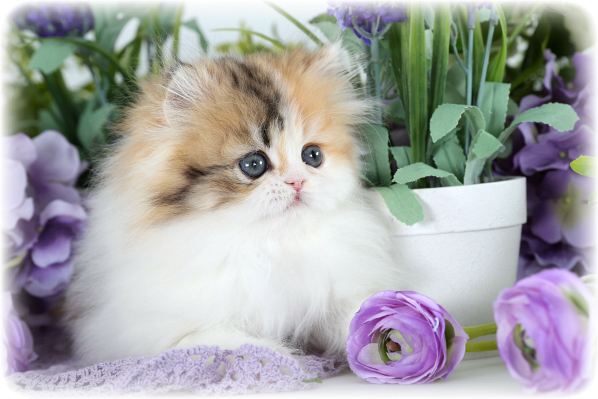 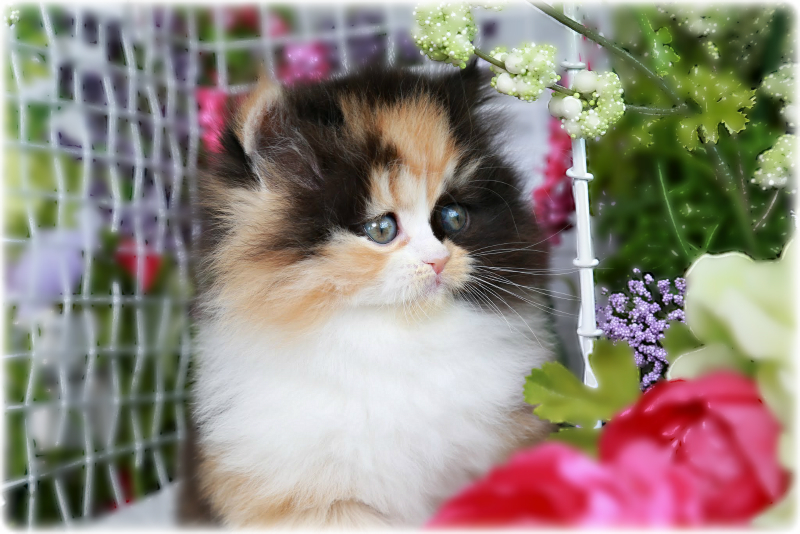 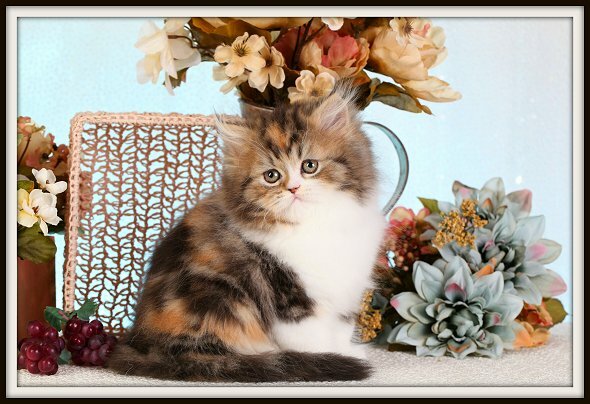 Calico Kittens Photo Gallery - Doll Face Persian KittensPre-Loved Persian Kittens For Sale – (660) 292-2222 – (660)- 292-1126 – Shipping Available!! 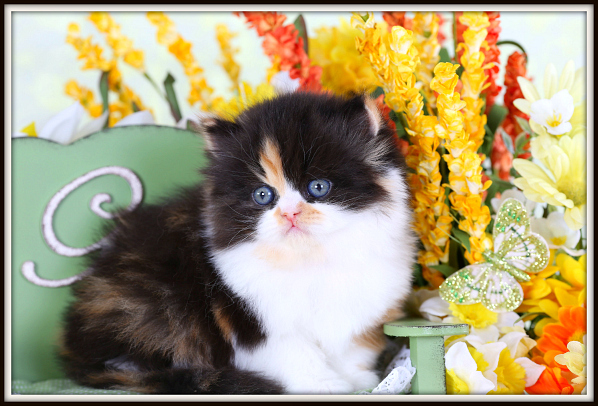 Pictured on this page are some of our past Traditional Calico Persian, Exotic Short Hair, & Fold kittens. 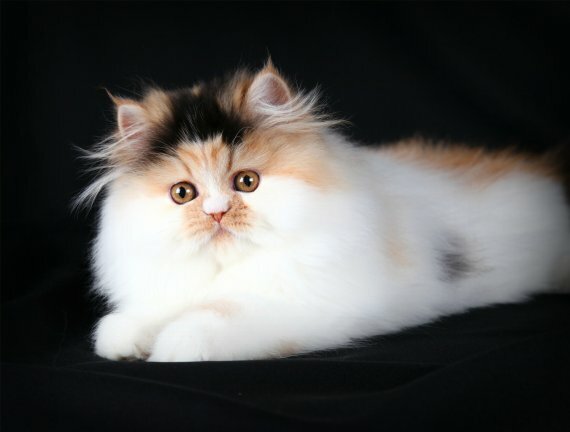 If you are searching for one of these hand-painted beauties, you have most likely discovered how incredibly unique each one is. 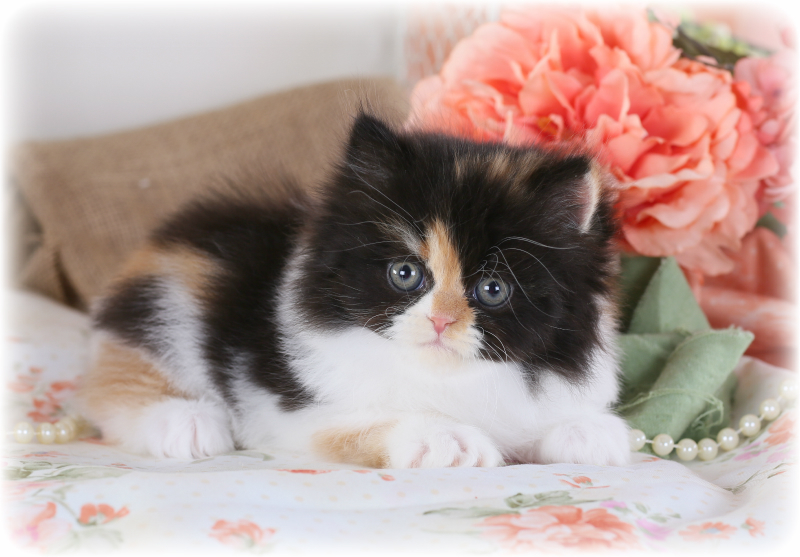 No two Calico kittens are alike; some feature bold patches of color, others have tabby stripe patterns throughout their coat. 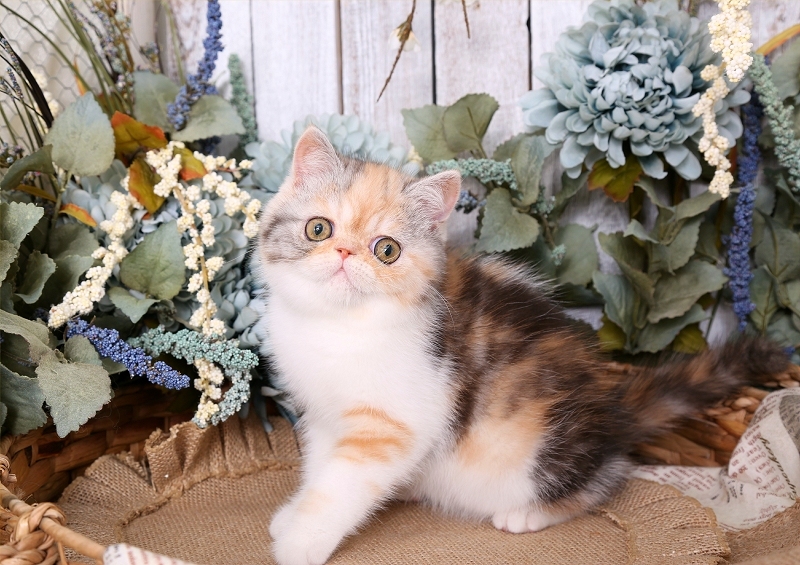 Both Traditional & Dilute Calico kittens are likely to have penny colored eyes as adults. 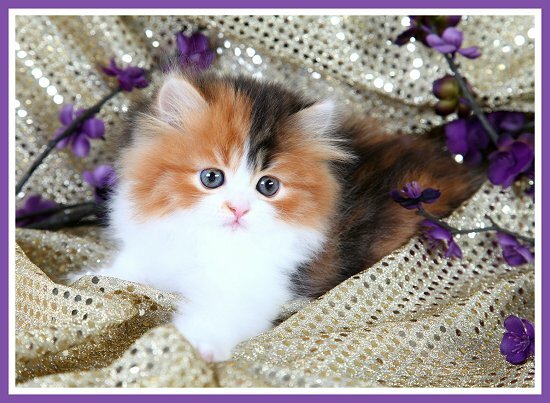 If you wish to add a Calico kitten to your family, please check out our Available Calico Kittens page!